hybrid that Southern California is now so famous for. 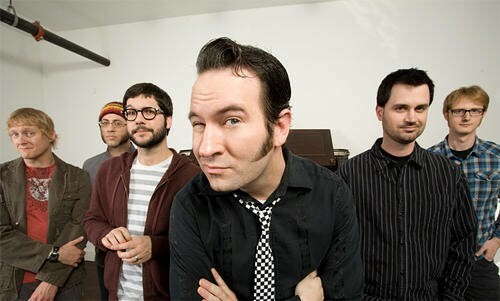 Aaron Barrett, Reel Big Fish front man, talks about what it was like to start out as a ska band in the 1990s Orange County with Sublime as a predecessor. On learning from Sublime: We weren't good friends or anything but we were big fans of them when we were first starting the band. We looked up to Sublime. Our song “Beer” was our attempt at writing a Sublime song. It helped play music in Reel Big Fish to try to play their songs. On how he met Bradley Nowell: First time we met them Bradley said, “You guys are great! We gotta play with you! We alway play with all these really terrible bands. That was very flattering, for a young band starting up. rapper. It would've been really awesome to hear where their music went. SLIDESHOW: See exclusive images from Bradley Nowell's father own collection.